I've been waiting to read this book for two months. Seriously. Two months. It was the first of the Hot and Nerdy books that I saw on Netgalley and after getting it and the other two, I was really looking forward to the day I got to sit down with it. I wish it was as good as I wanted it to be. It wasn't bad, but it wasn't anywhere near as good as the other two books. Part of me wants to think that I'd built it up in my head because of how long I waited to read it, but that's not it. It just wasn't on the same level as His Work of Art and His New Jam. Free is terminally shy, especially when it comes to women, but there's one girl he desperately wants to talk to--the problem? He only sees her when he's dressed in some weird costume. What if she thinks he's weird? Sammantha is intrigued by the cute guy who comes into the coffee shop dressed up in a different costume every time. She wonders if there's something wrong with him, but realizes that he's just a sweet guy, trying to help his brother. The thing I liked the most about this book was that Free loves movies. He constantly quotes his favorite movies when he's nervous. Some of the lines come from movies like The Breakfast Club, The Princess Bride, and The Shawshank Redemption. 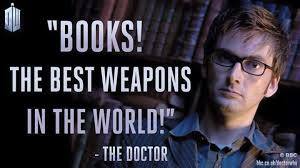 My favorite quote, however, came from Free's favorite television show, Doctor Who. Yep, Free is a Whovian. He dresses up as the 10th Doctor more than once and holding his Sonic Screwdriver (not a euphemism--get your minds out of the gutter) makes him more confident. I think that's totally sweet and completely adorkable, but then I'm sitting here drinking out of a Doctor Who mug, so I'm definitely biased. Unfortunately, this was the only thing I liked about His Dream Role. I thought that Sammantha was very immature. She acted more like a teenager when it came to her parents (and at times in her relationship with Free) and it just didn't gel with the person she was supposed to be--the girl, who volunteers at a shelter for Domestic Violence survivors, which is unrealistic, btw (You need tons of training to volunteer in such places, even if you're just helping kids read.). I get that she wanted to be independent from her parents; I think everyone wants that. However, her reasoning is ridiculous. She doesn't want someone who was going to take care of her, which is why she rebels against her parents by dating guys who wouldn't be able to do that. Personally, I think the thing that really attracted her to Free was the fact that she thought he was an actor, which is really what pissed her off when she found out that acting wasn't his passion and that he planned on working for his father (I think as an accountant). Then, there's Free. Yes, I liked him, but it felt as if he was two different people. When he's with Sam or his friends, Adam and Hunter (the heroes from the two previous books), he's all about acting and his love of theater, but when he's with his father he becomes this stuffy businessman, who talks about mergers. The first scene where he talks to his father was jarring. Based on the cover copy, I knew he wasn't going into acting, but everything up until this point (and for most of what comes after) was about the characters he portrays and the play that he's in for school. I may have thought that Sam's reaction to the news that he wasn't going to be an actor was immature, but I understand how she could have been confused. He never once mentioned what his plans for after graduation were, so how could she have known he wasn't going to be an actor? The other two books in this series were a lot deeper than this one and I'm scratching my head as to why this one was so different in that respect. There was so much that could have been done--Sam's volunteering or Free's dual personality, for instance--but instead we get a poor little rich girl scenario. Sigh. 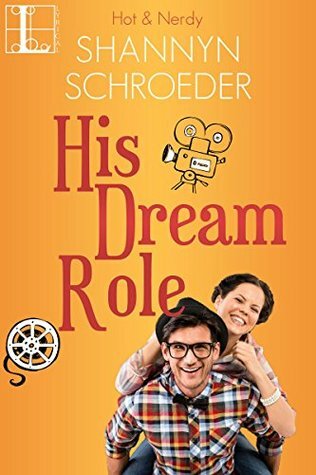 His Dream Role his currently available for Pre-order and will be released on December 22nd.